Cutting Tool Maintenance - Cutting Tool Management | RTS Cutting Tools, Inc. The fact is, if your supplier isn't managing you special cutting tools, you're missing out on major opportunities. Special cutting tool commodity management will help you grow your business, free up your time, and reduce your expenses. We realize that companies need to work together to innovate, cut costs and, ultimately, remain competitive. With over years 75 years of experince in cutting tool management, RTS is your one stop shop to manage your specical cutting tools. We pride ourselves in offering competitive pricing, and on-time delivery while maintaining the highest quality product and customer service. Deadlines are as important as quality. Quotations are processed within 24 hours. 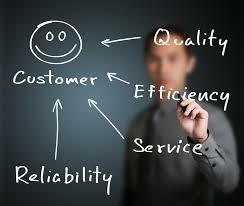 Experienced and dedicated salespeople pledge to delivery prompt, personalized service.